There is not one place on this planet, including Bermuda, where a group of individuals do not bond together like family and call themselves a gang. These gangs are typically formed when its young members are searching for acceptance among a group of like-minded characters. To most, the word ‘gang’ is synonymous with juveniles, unsavoury activity and the occasional violence to protect their honour and existence. Yet, there are exceptions where the gang is the family unit and the connection they longed for. But what happens when an adolescent gang member matures and they make the decision to become a pro athlete? Should athletes continue to associate themselves with a group that stood by them as a youth or should they sever ties, move on and forget where they came from? 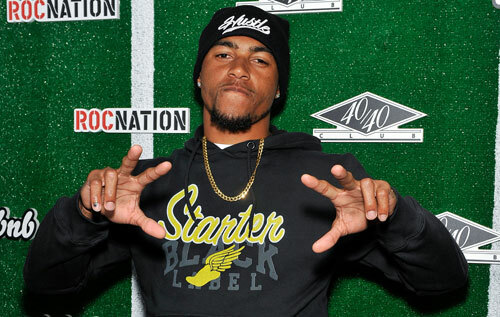 Last week the Philadelphia Eagles released wide receiver and three-time Pro Bowler DeSean Jackson with no clear explanation. However, a report from NJ.com was released the same day stating Jackson has alleged ties with Los Angeles street gang members who have been connected to two homicides since 2010. There are a high number of NFL players who grew up in a menacing environment. These players cannot change their past. It should not be compulsory for them to forget where they came from or who they associated themselves with in their childhood. Instead they should be encouraged by the league to return to these neighbourhoods and use their fame and success by becoming optimistic role models. Our past is a part of us…we can’t change it and we can’t overlook but we can certainly learn it and make a positive impact on those who were a part of it.